Adrenaline and emotions for all ages. 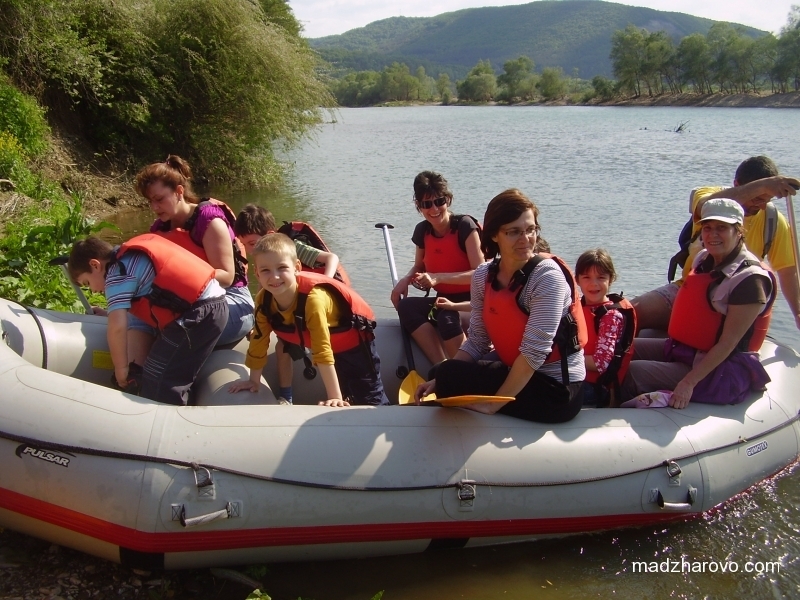 We offer a rafting tour along the river Arda from the village of Strandzhevo to the town of Madzharovo. 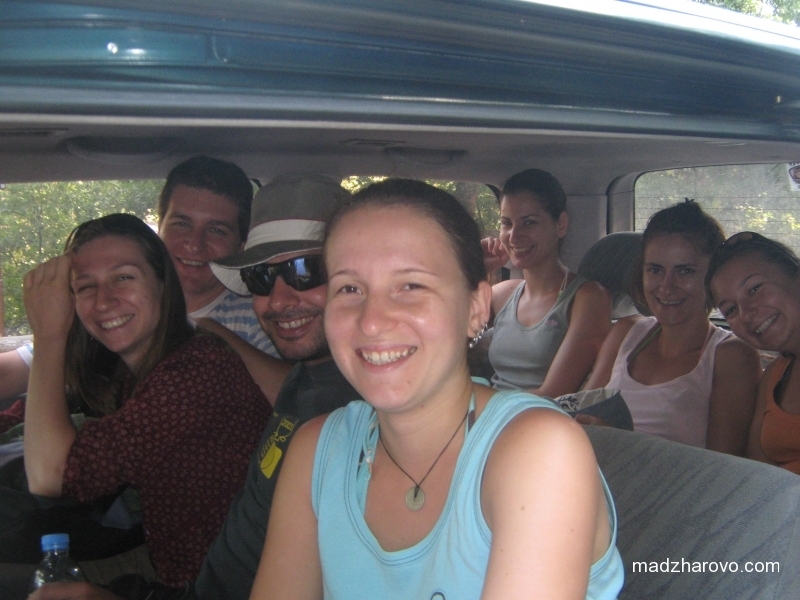 Price: 30 BGN per person for groups of 5 or more people. 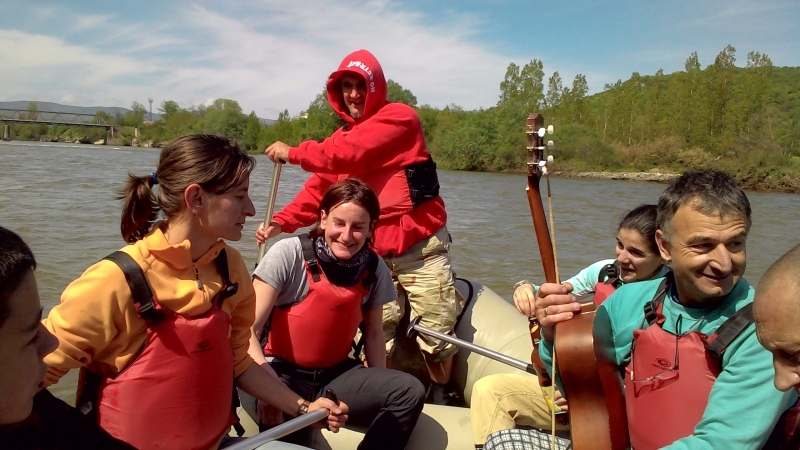 For up to 4 people the price is 150 BGN for the whole group. For groups that are more than 9 persons, it is necessary to make booking at least two days in advance. 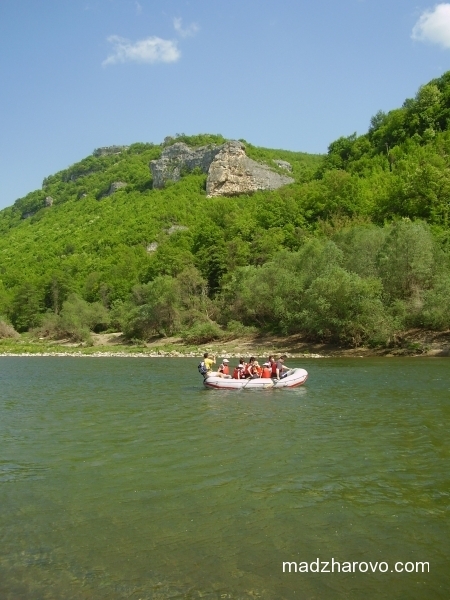 The price includes full equipment for rafting, a guide, binoculars and transport to the site. Our guides are professional lifeguards. 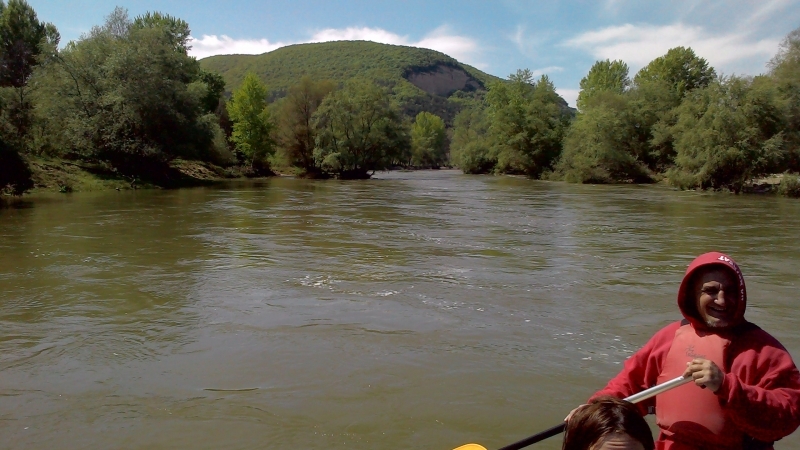 The tour takes place when the level of the river is high. It is suitable for children over 5 years old. Children aged 8 to 14 years get a 50% discount and for those aged 5 to 7 years the tour is free. 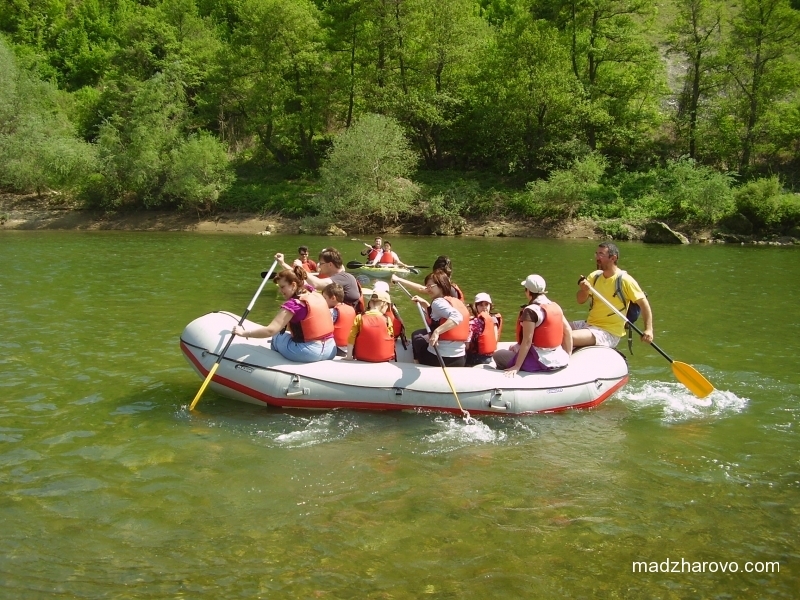 The rafting tour starts every day at 9:30, at the parking lot of the Nature Conservation Center “Eastern Rhodopes”, near the bridge over the Arda river. The length of the tour is 13 km, the duration is about 2 hours. The total duration of the tour including transport to the site, the briefing and all of the rest stops, is about 4 hours. 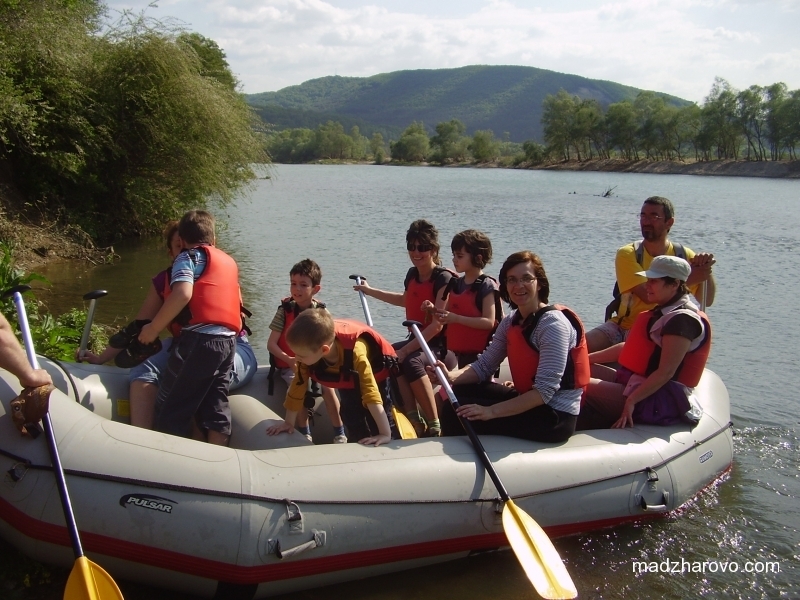 This adventure is suitable both for experienced paddlers, and for people who have never been on a raft before. Our route takes us through some of the most beautiful places in Bulgaria, where precious stones can be found, next to the protected areas Black Rock, Maiden Rock, “Kovan Kaya” and “Patronka”. 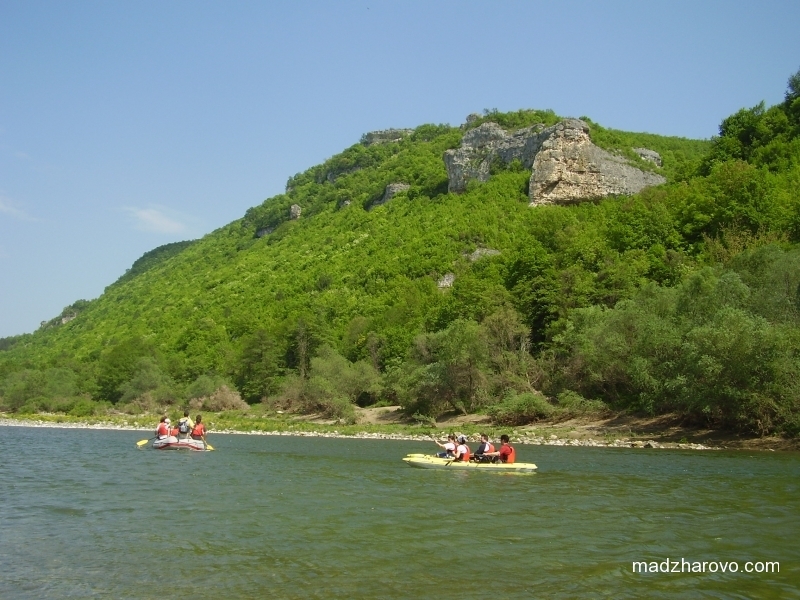 We start with a little offroad driving, while moving to a wild beach near to the town of Strandzhevo. 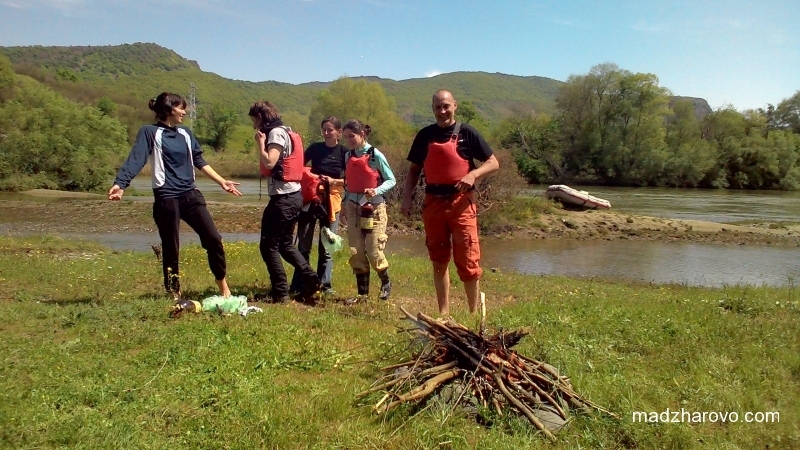 After unloading the rafts, and a short briefing on the beach, we are ready to go into the crystal waters of the river. 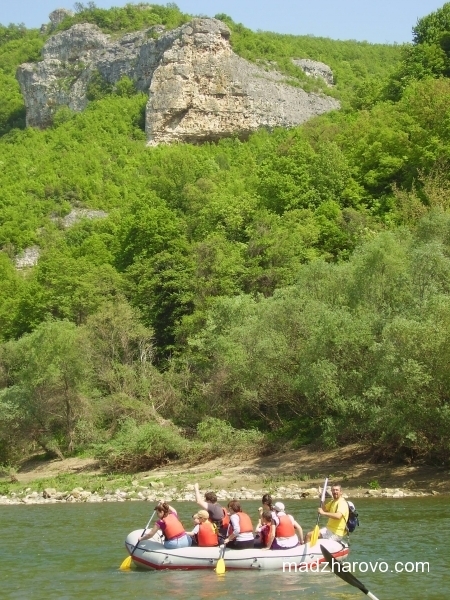 Unlike rafting on the Struma River, where the degree of difficulty is 3-5 (ascending scale), here “rafting” is a strong word and the degree of difficulty is 1-2. 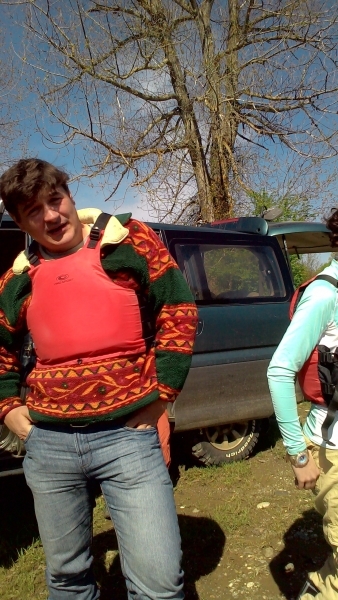 Or to put it otherwise – we will do a wonderfully safe descent, with the adrenaline surge of 3-4 places. 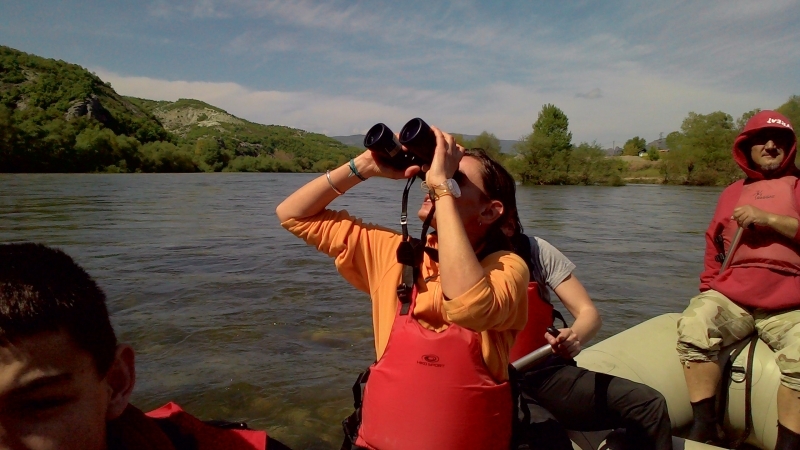 There is an instructor in each raft – a person not only handing out commands for managing the boat, but also advising participants where to point their binoculars to. The tour passes through some breathtaking locations, in the kingdom of many birds of prey, where rare minerals can be found, accompanied with the stories of our experienced guides about nature and the history of the area. If you happen to be guided by Kiro, prepare yourself for a good laugh. 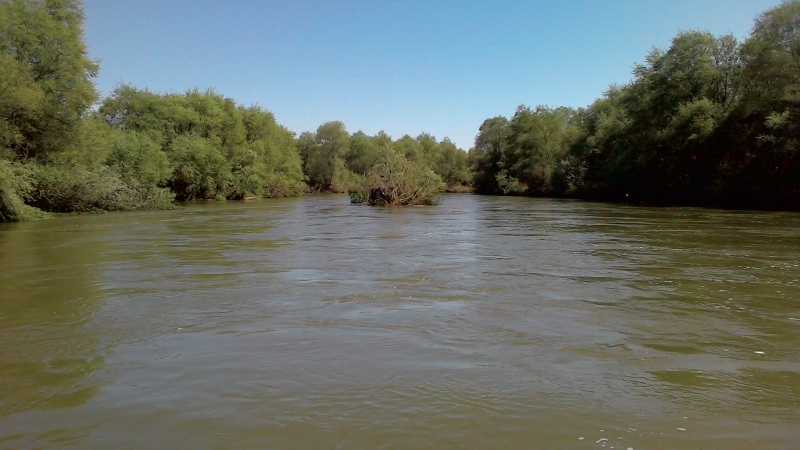 The journey ends at an old gravel pit next to the Arda river. 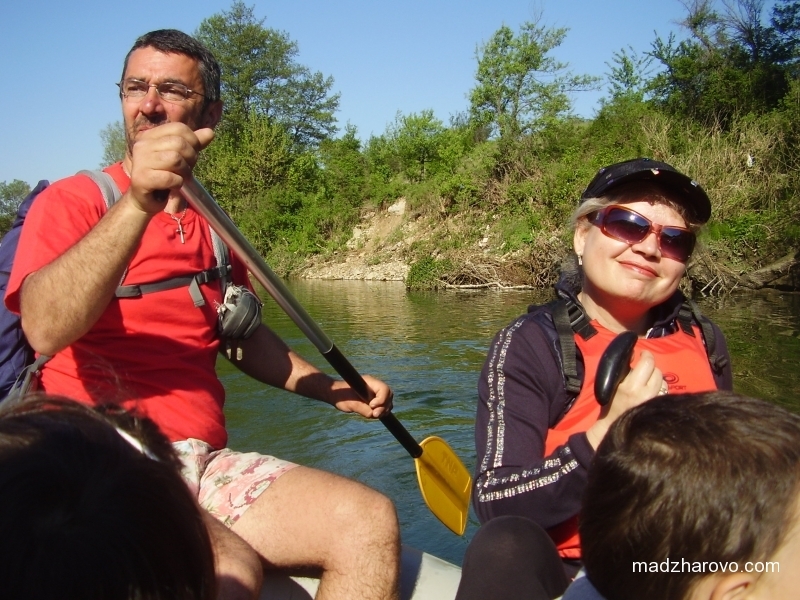 That is where we usually wait for the vehicles that take us back to the town of Madzharovo. 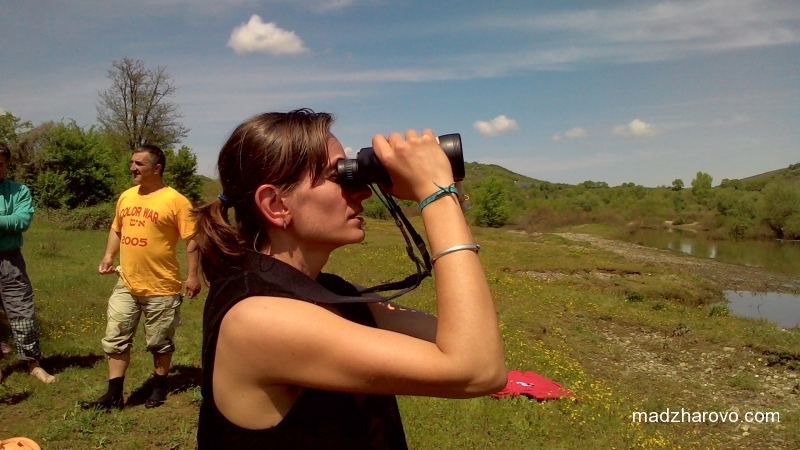 Before going back to town, we will stop by the the protected area Kovan Kaya, where we will use a telescope to take a look at the nests of griffon vultures. All participants are advised to bring a bottle of water and sunscreen lotion. Depending on the season, swimsuit might be necessary or warm clothes, but in any case spare clothes are needed. 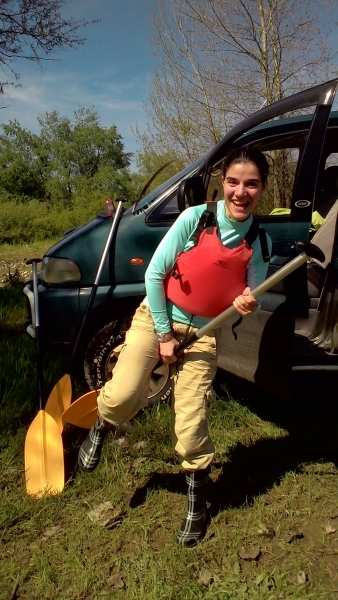 It is appropriate to take your flip-flops, sneakers, rubber boots or shoes that can get wet.